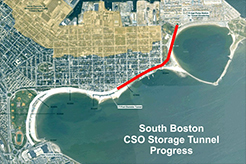 Below is an archive of progress photos and maps for MWRA's South Boston CSO Storage Tunnel project. Please visit the project main page for recent photos and progress highlights. Sand hogs head into the tunnel. The TBM trailing gear in a lined segment of the tunnel. A ventilation system runs along the roof of the tunnel, and tracks have been placed on the tunnel floor. A close-up of the TBM's back end and trailing gear. 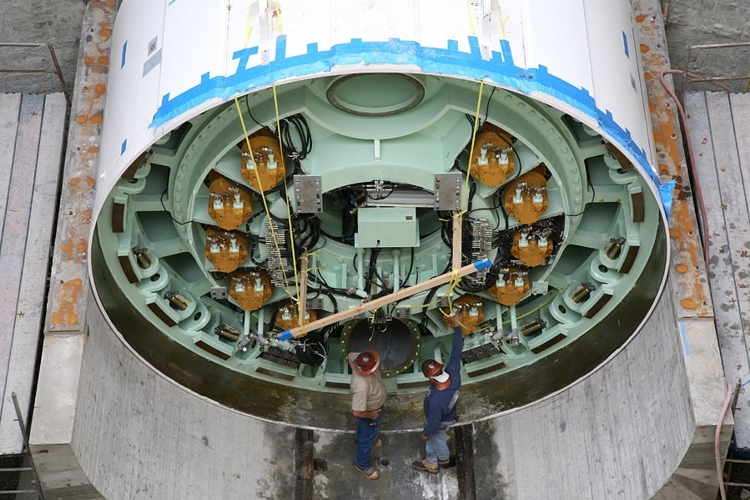 The back of the TBM's cutter head. The liners after placement inside the tunnel. Tunnel liners are stored above the tunnel, where they are covered and kept warm until installation. The intricate network of cables and connections at the head and tail of each TBM section. A closer look at TBM cables. A contractor assembles the TBM. 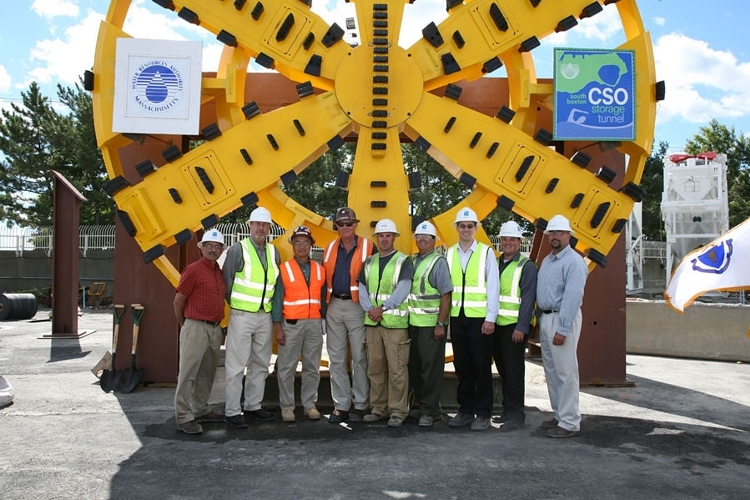 The TBM meets the wall of the tunnel's access shaft. A section of the TBM control panel - before assembly. Tunnel lining sections are staged for placement once mining starts. 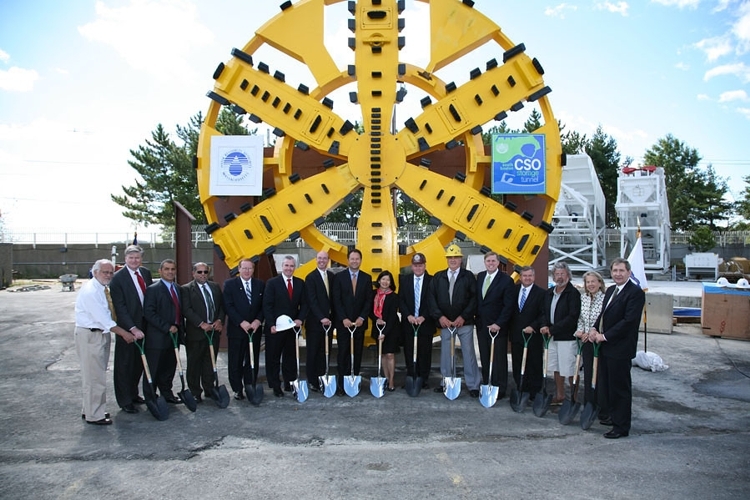 Ceremonial project groundbreaking in front of the TBM cutterhead. 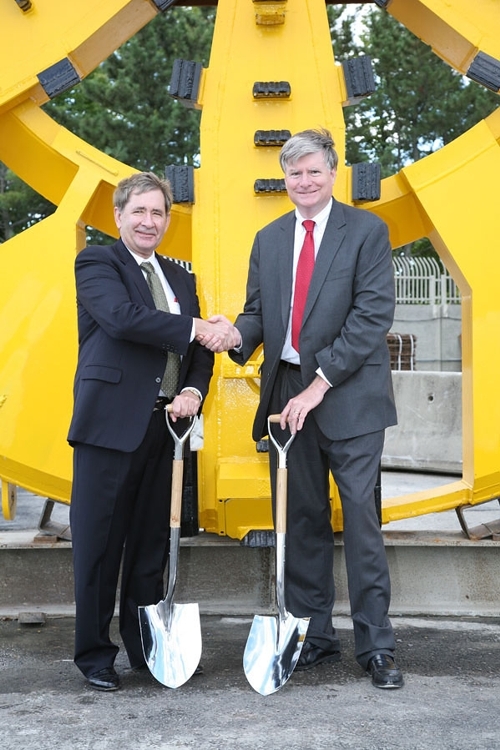 Federal District Court Judge Richard G. Stearns and MWRA Executive Director Frederick Laskey. 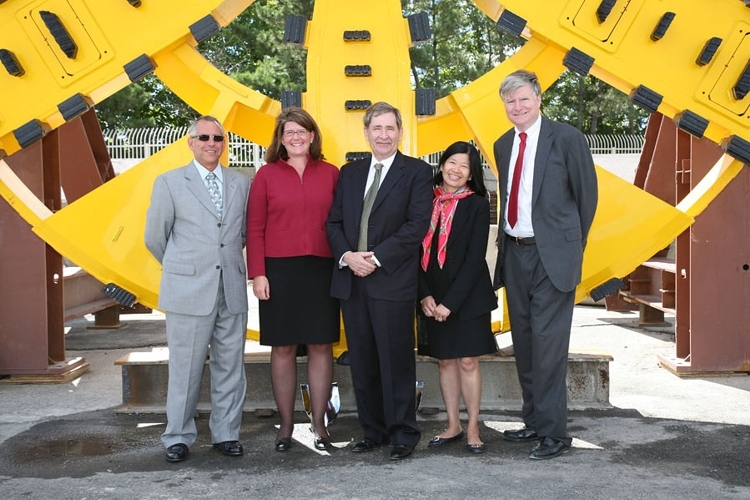 (L-R): Deer Island Director John Vetere, MWRA; Becca Tyler, Federal District Court; Judge Stearns; Fred Laskey. MWRA Executive Director Frederick Laskey. MWRA project managers, engineers and contractors. TBM assembly at the bottom of the tunnel's access shaft. Workers add the project logo to the TBM in preparation for the September 12 ceremony. The TBM's trailing gear was stored above ground before installation. A section of the TBM being moved into place by crane. The TBM is unloaded from a ship at Conley Terminal and moved to flat bed trucks. Equipment is moved to the project staging area. The trucks are unloaded; equipment inventory and assembly begins. Equipment starts to come together at the staging area. The access shaft, with the TBM support in place. 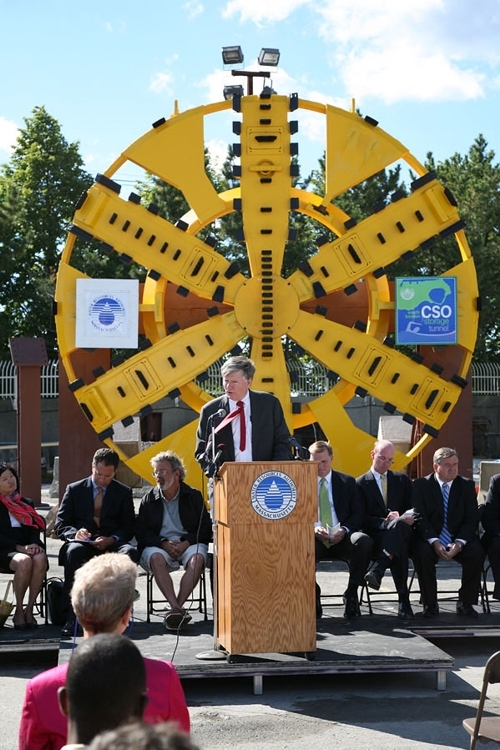 MWRA Project Manager Kenneth Chin, with the TBM cutterhead.